Warning: This post contains spoilers for Season 7 of Game of Thrones, as well as fan theories and speculation about the last two episodes. If you want to remain spoiler-free or not even think about what’s coming next, check out this awesome post about how different Rory McCann aka The Hound looks like IRL instead. We are just TWO episodes away from the end of another incredible season of Game of Thrones. This shortened season has been so action-packed we’re panicking at the thought of having to say goodbye until next year (or so). While the season has exceeded our wildest expectations, there’s one thing we’ve been missing: Cleganebowl! …except, we’re nearing the end of the season and The Hound is currently North of The Wall (aka nowhere near King’s Landing). But it seems all is not lost and Cleganebowl could still happen! Jon Snow, The Hound, and the rest of the brotherhood of misfit warriors are on a quest to capture a wight to bring to King’s Landing. Why? To prove to Cersei that she needs to stop fighting humans (aka Dany), and turn her attention to the slowly charging forward army of the dead. One reddit user, HanSoIoque believes that (at least) Jon and The Hound will succeed on the mission and head South with their new undead captive. 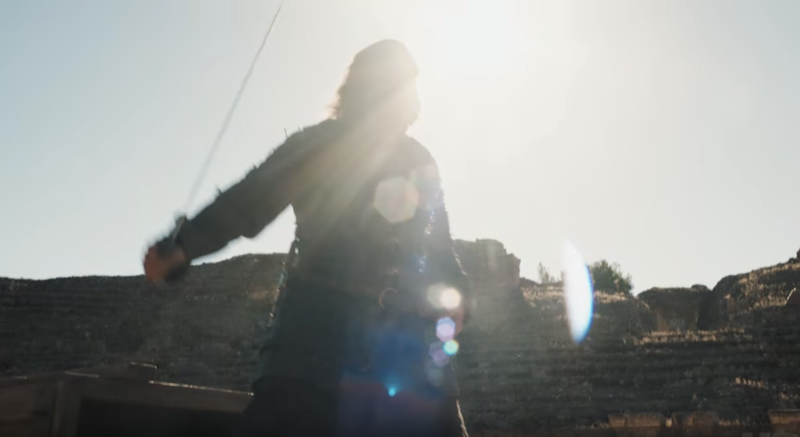 HanSoIoque adds that Cersei will try to ambush Jon with The Mountain along the way, but The Hound will emerge out of nowhere and take on his brother. But that’s not the only Cleganebowl theory rolling around. Nerdist believes we might be in for a *different* type of brother vs. brother matchup: A zombie Cleganebowl. The Westerosi Avengers are on a mission to capture a wight and it’s clear that at least one person isn’t going to make it back alive. There are two compelling theories that The Hound is going to die — sort of — while on the mission. One theory believes Beric Dondarrion — who sacrificed himself for Lady Stoneheart in the books — will sacrifice himself for The Hound. The other theory is that The Hound will be mortally wounded and will become the wight they bring to King’s Landing. There he’ll face off against his brother — who, after being practically killed by Oberyn Martell in Season 4, has become a Frankenstein-esque monster — in the undead fight for the ages. Two undead Clegane brothers fighting one another? SIGN US UP. Get hype, people because Cleganebowl is (probably) coming fast.